Fresh vs Frozen Vegetables: Which Is the Healthier Option? It’s the weekend and you’re about to do some groceries to replenish your stock of vegetables for the week ahead – where do you go? Do you hit the local market for fresh produce or just hit the supermarket for some frozen vegetables? Vegetables are full of nutrients that may help improve your health, thus including them in your daily diet is a wise choice. 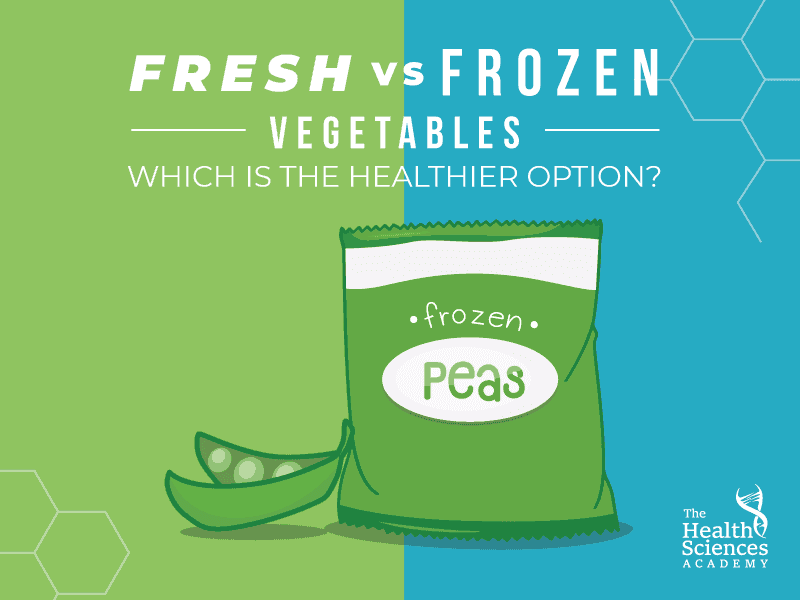 With the prevalence of fresh options today, some are curious to know if frozen veggies carry the same benefits. Knowing where your food comes from is very important especially when it comes to vegetables. Fresh and frozen vegetables all come from farmers. What sets these two apart is how they are processed. There are farmers that grow produce for both the processed and the fresh markets. But depending on the soil and climate, not all regions can grow the same foods! For example, the UK is only about 60% self-sufficient in food, meaning that it relies on imports to feed people. Additionally, locally-grown vegetables may also be heavily impacted by political influences and climate change. One must keep in mind that most vegetables, whether fresh or frozen, are harvested by hand. There is a growing number of vegetables that are harvested through the use of certain types of machinery. So what’s considered fresh? It all comes down to the process after the harvest that will categorize whether a vegetable is fresh or meant for the freezer. Most fresh vegetables are picked before they are ripe to allow them to fully ripen whilst in-transit. During transportation, fresh vegetables are stored in a chilled and controlled atmosphere to prevent them from spoiling. The transportation can take a few days, depending on where the vegetables are packaged and sold, and sometimes even 12 months! For example, the typical storage time of apples and potatoes is up to 12 months. For frozen vegetables, the harvesting processes are specifically adapted for freezing. In some cases, vegetables may be harvested at a different time than if they were to be sold fresh. The process of freezing vegetables varies depending on what is to be frozen. One of the most common vegetables that are frozen are peas. The majority of vegetables follow the freezing process of peas. Food processors provide farmers with their specifications for freezing, and the two parties must agree on the harvesting schedule. The producer may also measure the tenderness of the vegetables and evaluate how much volume the freezing plant can accommodate. The vegetables may be either picked by hand or via a machine. They go through the blanching process where they are exposed to hot steam for a brief moment and then quickly placed in ice-cold water to prevent cooking. Blanching is meant to kill any microorganisms present on the surface, reducing your risk of food poisoning. Another benefit of blanching is stopping enzyme actions that often cause loss of colour, texture, and flavour. The vegetables will then be passed to the sorting stage, removing items that are unsuitable. The last part of the process is the inspection where workers look over the vegetables that are on the belt. They may pick discoloured ones. Following the inspection, they go the packaging and freezing stage, where the vegetable packages are individually frozen and then boxed. However, this may depend on the processing plant. The frozen vegetables may also go through the test kitchen before they are passed on for distribution. What Happens When Vegetables Are Frozen? Vegetables may lose some of their flavour when frozen, so their consumption also depends on personal taste. One of the main dilemmas when it comes to fresh vs frozen vegetables is their nutrients. However, fresh produce is not exempt from nutrient losses. It is only natural that certain vitamins and antioxidants are reduced following the harvesting process, thus it is recommended that vegetables are either consumed or frozen as soon as possible. This is because, after harvesting, vegetables start to lose their moisture, increasing their chances of spoiling and a drop in their nutrient value. In the case of frozen vegetables, they are often frozen within 2 hours after harvesting, thus retaining more of their nutritional content. Because they are often in the same isle as frozen pizza or frozen burgers, there is a common misconception that frozen vegetables are “junk food”. However, this is far from the truth. Fresh produce is also vulnerable to nutrient losses, often influenced by the amount of time elapsed between harvesting and consumption. At the end of the day, the healthiest vegetables are the ones that you’ll eat, whether fresh or frozen!